Economics is not an ‘easy discipline’. As a friend recently pointed out, take out the references to real world examples and all you are left with are hard to remember, harder to apply equations. Sure, that’s a given in any profession (it’s the job of the professional to appear smarter than his/her client, let’s not forget), but it’s particularly infuriating in economics owing to the fact that this is, after all, a field that has real world implications. Foggy, obscure, sometimes obscurantist, as a discipline it has been subjected to myths and falsities which by being repeated and promoted over and over again have acquired the status of honest-to-god-truth. Probably that’s why I’ve learnt to put up with my distrust of economists. On June 19, Advocata Institute, “an independent policy think tank based in Colombo, dedicated to economic development through free markets”, hosted a lecture titled “Capitalism in Asia and What It Means for Sri Lanka” delivered by the inimitable Razeen Sally. Professor Sally, as those who have attended his seminars (in particular, his “Night Watchman” lecture, “What makes a classical liberal?”), is in favour of free markets and less red tape and has displayed a general aversion to the Left (which explains his belief that in Sri Lanka, public and economic policy has been permeated by socialism). The June 19 lecture was no different, and it was more of the same, but it compelled an interesting riposte from an outfit calling itself (tongue-in-cheek) the “Avacado Collective”, which challenged the Professor’s worldview in clear, concise, convincing terms. Advocata is dedicated to free markets. So is Professor Sally. Like all advocates of free markets in the subcontinent and the developing world in general, they espouse the gospel according to Smith, Ricardo, Say, and Malthus, the fathers of classical political economy, believing it to be the only way out for the problems of our societies. But free markets are not always free and free trade is not always fair. There are myths attached to these theories and philosophies which have come to define the trajectory of economic history in the West. The Sri Lankan economic experience, post-1977, has mostly been that of promises made and broken by administrators, of powerful industries being sold to the ‘free market’ in the name of efficiency and eventually being turned into worthless replicas of their former selves. (Does anyone remember, as the Avacado Collective does, the Werahera CTB Workshop and the Thulhiriya textile complex?) But consider that it is not just in policy seminars that myths have been paraded as truths, and that they have formed what we assume to be the only economic reality, one which a good part of the world has rejected. We are still stuck in the “golden era” of “classical liberalism”. Of course, this is just one way of looking at the issue. There is another way. A recounting of history. The history of capitalism, free markets, political economy, and classical liberalism, as gleaned from the transition from the manor to the market. This dualistic economy, of mass exploitation on the one hand and minority privilege on the other, was supplemented by a State that was all powerful and had a vested interest in the continuation of unfettered industrialisation (given that the parliament was populated by industrialists). In fact there was very little that was free in the market: as Fernand Braudel, the eminent historian, has observed more than once, capitalism was the product of large corporations and monopolies vying for power against each other, and not of the eternally touted image, projected in textbooks today, of islands of small shopkeepers in a perfectly competitive market. 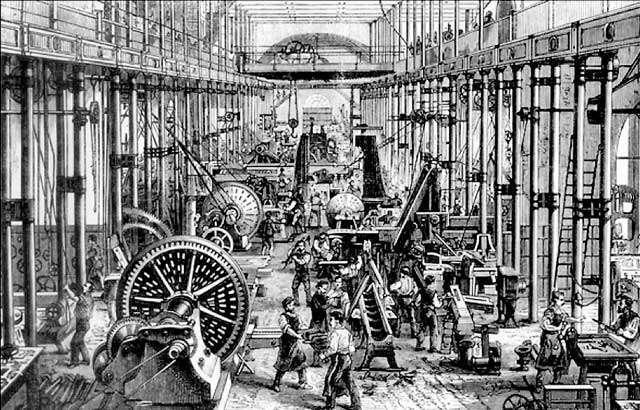 Britain, the most powerful industrial nation was a pioneer in protectionism. Classical liberalism, with its emphasis on property rights and economic freedom, was born of all this. But liberalism, more specifically liberty, is a notoriously hard to define term, and in the early days, it had a different connotation. Again, I refer to Braudel; he traced its evolution from “liberties”, which was the liberty of powerful groups wielding hegemonic power over a multitude to “liberty”. Unfettered capitalism, through this, gave rise to unfettered individualism, which then gave rise to a dilemma: if everyone is free, how will society survive? "Why capitalism developed in Western Europe, no one has fully ascertained. It was born in the 16th century and was the child of the Reformation and the Enlightenment"
Rene Descartes seemingly resolved the issue as follows: individuals are parts of a whole, and so, if the part is to survive, the whole must too. The interests of the part had to, in other words, coincide with the interests of the whole. From the 17th century then, Western society not surprisingly hardened its attitudes towards elements of society which could not maintain the unity between the one and the other: right until the Middle Ages, the peasantry had been sanctified (Christ, after all, was the son of a carpenter), but in the heydays of capitalism, they would be demonised. Hence the workhouses, capitalism’s equivalent of Stalinist gulags, which crop up so harrowingly in Dickens’s novels. The rise of classical liberalism over these decades could not have been a random affair.